Posted byMichelle Joe	 14th Apr, 2019 15th Apr, 2019 Leave a comment on When is Dedicated Server Hosting Ideal for You? The dedicated server market has been witnessing steady growth as Statista notes. Back in 2010, dedicated hosting’s market share stood at 3.05 billion US dollars. Over the years, it has grown to reach a market share of 5.41 billion dollars in 2017 and is forecasted to crawl to 6.53 billion US dollars by 2020. With such demand, how would you know when your business is ready for a dedicated server hosting? You could opt for shared server hosting. However, dedicated hosting is ideal for you when you want undisturbed space for hosting your applications. 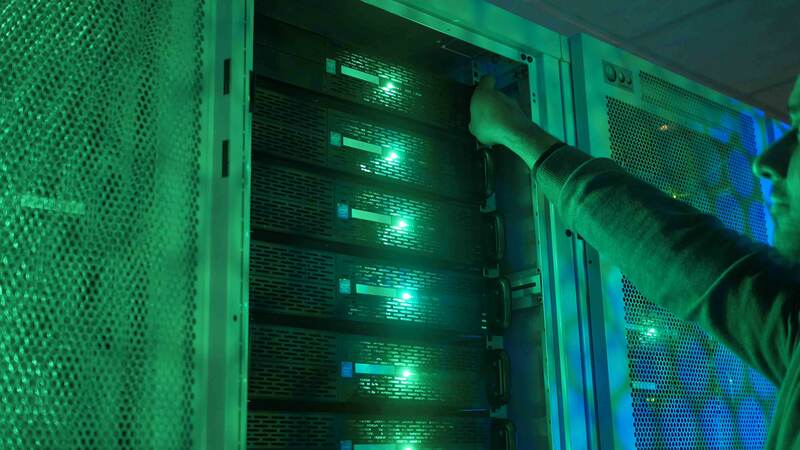 In simple words, dedicated servers offer exclusive space for your data storage. Before we dive further into the heart of this matter, let’s look at how Technopedia defines dedicated hosting. Essentially, it is an internet hosting option in which a business leases a server entirely. This server is often hosted in a data center so that the host provider not only offers the server equipment but administration and other services as well. Dedicated servers also go by the name of managed hosting service. In many ways, it is a lot better than a shared server hosting. Topmost of all, the host offers all the administrative and other services, which makes it a flexible option. With the managed server dedicated to only your business and hosting its data and applications, you don’t have to share the hosting space with other businesses. Instead, you are in charge of the organization, security system, software, and everything in between. When Should You Choose Dedicated Hosting? If you run a major online business, security can possibly by your top priority. In the case of shared resources, your business is vulnerable to attacks and security breaches, which is something you simply cannot afford for your business. A dedicated server can help save the day though as it offers optimal security for your business data and stored user information. Akamai’s study revealed that web users expect a website to load in about 2 seconds or less. If it doesn’t load within 3 seconds, users are more than likely to abandon the site. Moreover, 64% of the shoppers who experience poor loading speeds and store experience move on to some other business instead of yours. Considering these numbers, it’s clear that page load time is not a subject you should mess with when planning your business’s success map. In this regard, dedicated hosting supports loading webpages at lightning-fast pace, making it a good pick. The amount of traffic that you expect to flow to your website is also a determining factor when choosing between a dedicated and shared hosting. For larger traffic, you need to consider a managed server as it can handle the influx of users easily. A case in point is a site such as Amazon, which welcomes 197 million users monthly. A business hosted on shared resources won’t be able to manage all the heavy traffic flow. It may even lead to a site crash, which is, again, bad for your business. A dedicated server offers enterprise-grade server specs to meet such business needs. Other hosting solutions cannot offer the superior performance that a dedicated server can. This is particularly true in the instance of I/O, for read and write applications, which depend on databases or have to process data quickly. Only managed hosting can handle this. Hence, for superior performance you need to be on the lookout for hosting providers in your city, such as seattle server hosting or server hosting in Olympia. Managed hosting is also the way to go if you want more control of your hosting. A case in point is Amazon’s S3 service that was hit by a major outage recently. All the companies, which relied on S3 in the impacted region were affected. However, they couldn’t do anything about it as they had no control. Such problems can be easily avoided with managed hosting. If an issue surfaces, you and the hosting provider are likely to identify it quickly and fix the problem immediately as well. Summing it up, a dedicated server hosting is ideal for you when you are looking to have better control of your business hosting, a private corner for data storage, fast page load speed, and heavy traffic flow from your audience. Is VPS Hosting the Best Option for Me?